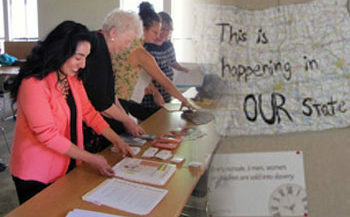 Sisters are involved in projects nationwide to address the global epidemic of human trafficking. 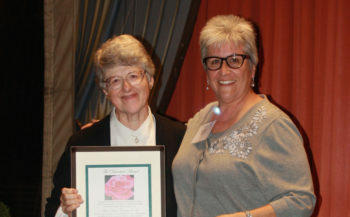 Karen Conover, BVM was presented with the Durocher Award at Holy Names HS for young women in Oakland, Calif., where she taught chemistry. BVMs were privileged to be among the crowds in Washington, D.C., and Philadelphia his visit for Pope Francis visit. 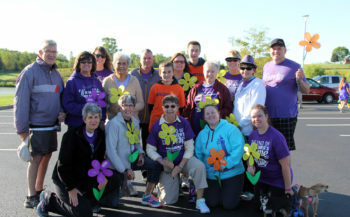 BVM team participates in the Dubuque Walk to End Alzheimer’s. 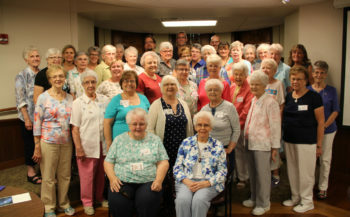 The BVM core value of freedom led us on a journey of exploration at the associate retreat at Mount Carmel in Dubuque, Iowa, July 17–19. How are we being called? And what keeps us from this freeing experience? 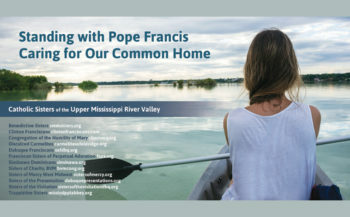 Receive notifications of new BVM News posts in your inbox.